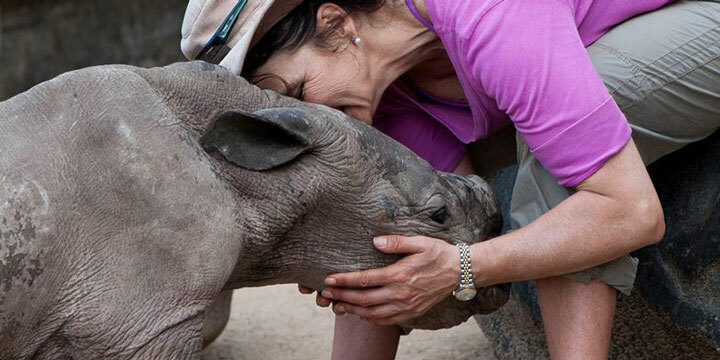 These unique and socially complex creatures are what Baby Rhino Rescue is all about. 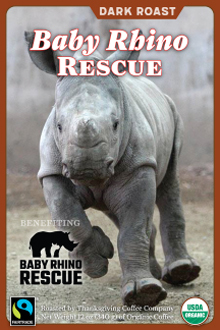 In the wake of rampant poaching, baby rhinos are often left to die after their parents have been killed for their horn. 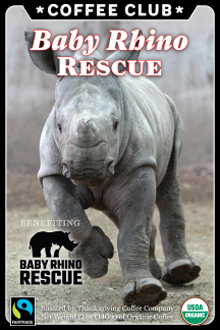 The vision at Baby Rhino Rescue is for each of these orphan rhinos to have a long and healthy future in the wilds of Africa, and we strongly believe that by working together we can save rhinos from extinction. Royal Blend is a blend of light and dark roasts. This coffee is organically grown in Mexico and decaffeinated at a nearby facility to reduce its carbon footprint. 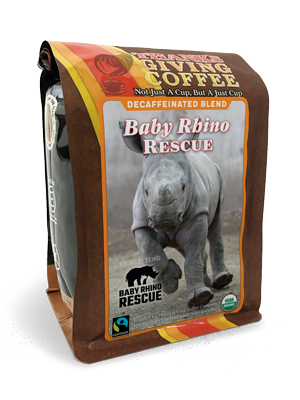 Naturally decaffeinated using the water process method - not chemicals.